la scelta dei fan: Freddie learned how to play the chitarra for his part in August Rush. 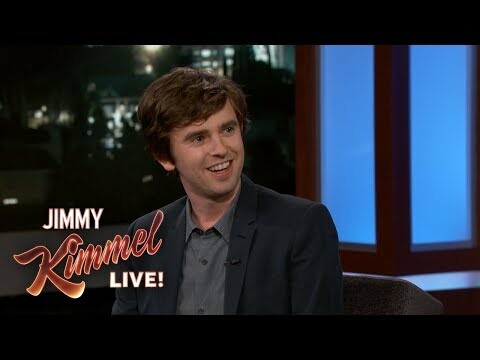 Freddie Highmore with Dakota Fanning o Sarah Bolger? Did te know he was in the golden compass? Whos Better? Simon Grace Mallory Grace o Jared Grace? mostra business is infamously littered with child stars gone bad. The transition from cute little popsy to spotty teenager and beyond is rarely easy, but for the Macaulay Culkins and Lindsay Lohans of this world, their cuteness enlarged and projected on to countless molteplice, cinema multisala screens, growing pains can lead to some equally public off-the-rails behaviour. Freddie Highmore checks in as più than the titular doc in season 2 of last year’s runaway-hit medical drama The Good Doctor. Which università he attends and what faculty he takes there?